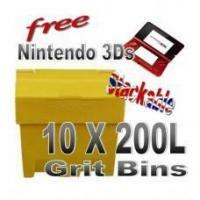 Special Offer: Buy this Grit Bin Winter Pack and recieve a FREE 50 Argos voucher. 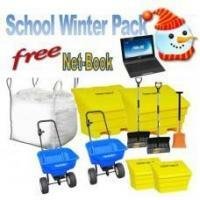 Our winter pack includes:3x 350 Litre Grit Bin, 600 Kg of Rock Salt,3x Shovels, 3x pairs of Gloves and 3x High Visibility Vests. 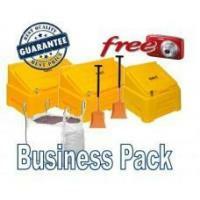 The 350 Litre Grit Bin is one of our most popular grit bin and is suitable for storing grit/salt on residential and commercial premises. 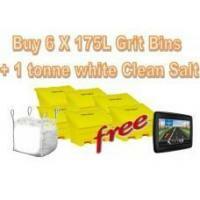 Constructed from durable and UV resistant polyethylene the 350 Litre Grit Bin is an ideal grit storage solution. 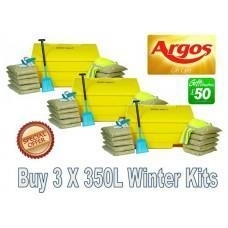 Keep the areas around your business or home snow/frost free this winter by purchasing our 350 Litre Grit Bin Winter Pack everything you need in one handy pack delivered directly to your door. 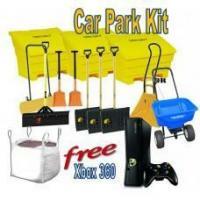 External Dimensions: (Width) 1220mm. 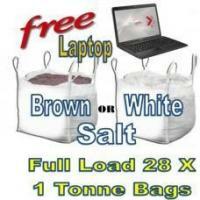 (Height) 750mm. (Depth) 650mm.